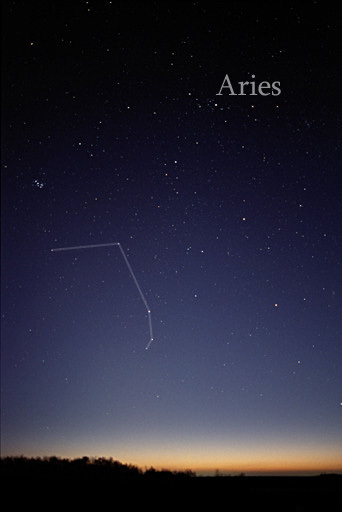 Aries is a positive, cardinal, fire sign ruled by Mars. The spring equinox is the beginning of Aries and traditionally the beginning of a new astrological year, so although a circle does not have a beginning, Aries is considered the “first” sign. From there you can immediately see some of Aries eternal qualities – driven, daring, starting things, taking initiatives, and, of course, rushing in where angels fear to tread. The feeling of spring, where we daily see a sign of growth and then another and another, shows that Aries may tend to be “all over the place” and have many starts and interests, although not always pursued in full. Often, in their fiery enthusiasm to start new projects, they don’t consider other people or “the right way” of doing things and may sometimes give up if meeting difficulties. Those who don’t give up go on to create new and wonderful things that enrich and help all of us. The ancient Roman god Mars is known for being the god of war and less known for originally being also the god of growth and agriculture. His type of war waging was motivated by the need to protect a peaceful existence. With many Aries, if you dig a little deeper, you will find that their actions are motivated by an ideal, an almost Libran (the opposite sign) worldview for which they are willing to work hard and fight if necessary. Being a fire sign, Aries are natural leaders and teachers, sweeping people with their enthusiasm and energy, making everything they tell you more fascinating. Being the “youngest” of the signs, they stay young forever, sometimes showing the juvenile aspects of this tendency and sometimes its youthful strength and ability to get up and start again. As other cardinal signs, taking initiatives is a major feature as well as starting things on their own. They tend to dislike frameworks imposed by others and functioning within limitations, but once they have found their way, Aries are very capable in creating their own frameworks and ways that work for them to achieve what they feel they need to do. The ram, one of the symbols of the sign, is famous for its horns, hinting to us that Aries tend to be strong-headed, or sometimes even hardheaded, and use their minds incessantly. If you do get into an argument with them, they will always use logic and logical (or what seems to them logical) explanations and will rarely lower themselves to emotional blackmail. However, if you want something from them, you can always count on their child-like good nature, so using emotional arguments will get you what you want. In March 2011, Uranus moved into Aries for a period of about seven years, promising Aries people years of unexpected occurrences, sudden endings, and new beginnings. These are not easy years, especially with Pluto in challenging aspect to Uranus for much of the coming three years, but Aries are not easily scared off by difficulties or surprises, so most of them will go through this time and come out the other side with greater strength and success.